Halloween is tomorrow night and our little ones will be getting ready for a day of spooktacular fun with trick or treating in the evening. 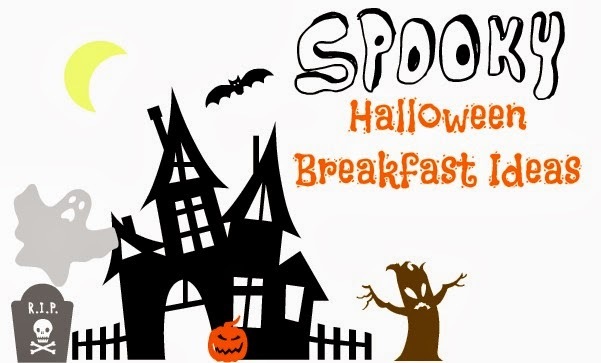 Why not send them off on the scariest day of the year with a belly full of special Halloween breakfast featuring Nutella. 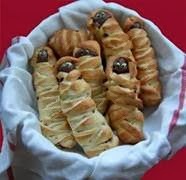 Make these "Morning Mummy's " part of your Halloween breakfast! A scary twist on Nutella croissants the whole family can enjoy! You can find the original recipe on Unfurled blog. I can see these made with Pilsbury crescent rolls too, yummy! Get creative with fruit kabobs or fruit salad and cut fruit into scary shapes using Halloween cookie-cutters. You can find some fun ones like bats, ghosts and more for cheap at your local dollar store. Wash down your hauntingly delicious breakfast with a special Halloween drink, Vampire morning Juice. Made with blood oranges, plums and grapes, this morning beverage is a great way to start of everyone's day! These are just a few simple ideas brought to you by AME on behalf of Nutella. For more inpirational ideas and recipes please visit the Nutella website!